The Algarve is a popular destination for holidaying and also for investment in Real Estate. Offering year-round sunshine with award winning beaches, great restaurants and a wide variety of option for families, sports enthusiasts, nature lovers If you have already been to the Algarve, then you know how much the small south coastal region of Portugal has to offer, but for those of you who haven't, we look forward to sharing the Algarve experience with you at ACPS. Why choose the Algarve in Portugal? What makes the Algarve such a great place? Visitors travel from all over the globe, fly into the International Airport in Faro or drive from other parts of Europe each year. The Algarve’s promise of sun-drenched days at the beach, encountering the wonderful hospitality the Portuguese people offer and joining in with our family-orientated culture, with endless options for dining out for all ages. 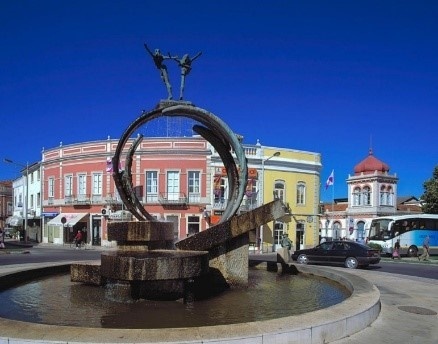 However, the Algarve should also be known for its truly unique contrast between the golden coastline and the beautiful rural countryside, its many historic attractions and thousands of species of flora and fauna, making it the perfect destination for interests such as photography, painting, nature watching, walking and other outdoor pursuits. The beautiful sandy beaches are, of course, one of the major attractions for the Algarve (and understandably too, because they are some of the best in the world, with Blue Flag awards to prove it!) The climate in the Algarve offers dry sunny days for most of the year, one of the main reasons so many retirees love the Algarve allowing the enjoyment of outdoor life as way of life. The Algarve is perfect for walking, sightseeing and cycling and for all the sports you can imagine – surfing, golf, tennis, horse riding, kayaking and even extreme sports such as kite surfing, rock climbing and wakeboarding. Families can enjoy water parks, theme parks and zoos, boat trips along the breath-taking coastline. Measuring only 160km x 50km, the Algarve, is without a doubt the perfect European destination for families, couples and retired people. The pace of life here is relaxed and stress free, making an ideal place for people to invest in beautiful properties or to enjoy your well-deserved retirement. Every resort in the Algarve has its own unique character, offering totally different scenery, experiences, activities and gastronomic delights. Since the start of the demand for holidaying here in the Algarve in the 1970s some resorts have changed immensely, like Albufeira and Carvoeiro, Lagos and Praia da Luz and some areas have barely changed at all, such as Alte, Loule and Sao Bras De Alportel, Monchique and the Western Atlantic Coast. The central Algarve became an area of demand in tourism with the luxury resorts of Vilamoura and its stunning Marina to the World Renown golf Resorts of Vale Do Lob and Quinta do Lago. 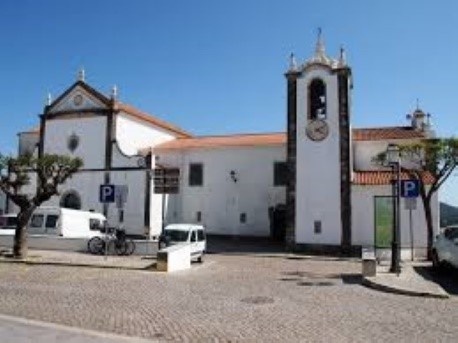 The Eastern Algarve has become a wonderful area to invest and enjoy a more traditional environment with beautiful traditional coastal villages like Fuzeta and Sta Luzia with Olhao and Tavira becoming very popular. The Algarve offers such diversity as you travel the coastline. There's always a great range of events taking place throughout the year here in the Algarve There are powerboat championships, car rallies, motocross events, sailing and golf championships. The Algarve also knows how to party, celebrating with festivals throughout the year. Mardi Gras (normally in February) sees carnivals across the region with the most spectacular taking place in Loule; Liberation Day (April 25th) celebrates the end of a dictatorship in Portugal; medieval festivals are held in Silves, Lagos and Castro Marim; special Easter festivals take place in São Brás de Alportel and Loule. There is a famous Sardine Festival in Portimao and Seafood Festival in Olhao and of course - Christmas and New Year in the Algarve, with New Year's Eve parties and fireworks in all of the main tourist resorts. During the summer months we can expect open-air concerts, beach parties, jazz festivals and a whole host of other fantastic events!